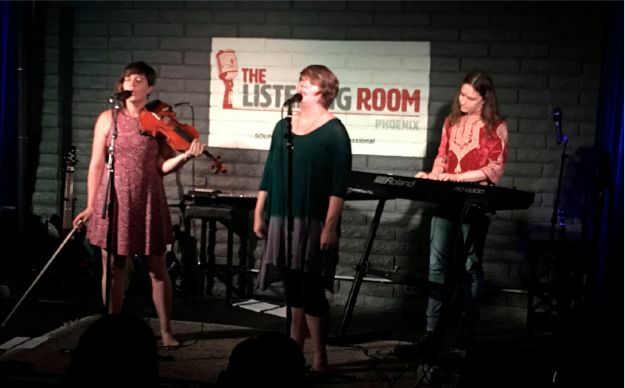 ​​Join singer-songwriter Adam Smith as he hosts one of his favorite singer-songwriters for a unique live performance and conversation at The Listening Room Phoenix. Here’s the format: The show will start off with the guest artist performing one of Adam Smith’s songs of their choosing. Next, we will settle in for a conversation focusing on the guest artist and what music/creativity means to them. Then, after the interview segment, Adam will perform one of the guest artist’s songs followed by a full live performance where both Adam and his guest will each do a 30-minute solo set, all in front of a live studio audience. Adam Smith is a self-taught multi-instrumentalist who grew up in the mountains of Southeast Kentucky. He began writing songs in his early teens upon hearing Joni Mitchell’s album “Blue” which he says changed his life forever. He has since released five full-length studio albums and toured the United States, bringing his unique sound to a growing number of loyal fans. Adam now resides in Phoenix AZ and is working on new projects which can be expected to release this year.